remilia | I heard you liked music in anime and video games! The Touhou Project, a series of videogames created by one man nicknamed Zun, has a small but loyal following in the United States. One of the most attractive features of Touhou is their entrancing music. Touhou fans have taken their love to the next level, creating myriads of remixes, vocal renditions, animations, and fan-made trailers of these songs. Touhou’s most well known song is Elly’s theme, titled “Bad Apple.” This is due to a catchy, heavily synthesized vocal remix originally found on the website Nico Nico Douga. On Youtube, this famous version has garnered over two million hits. Animated solely with black and white silhouettes, this video depicts at least thirty-six of the characters while focusing on clever transitions. “Bad Apple” can be described as lyrically dissonant, sounding rather sweet to people who are unfamiliar with Japanese when in reality, the song ponders about feelings of sorrow, morality and the nature of reality and existence. 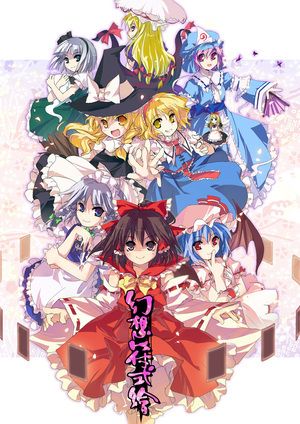 Within the Touhou fandom, the most popular song by far is Remilia’s theme, “Septette for the Dead Princess.” The original version of “Septette” is played when the player reaches the sixth and final stage of the sixth Touhou game, “The Embodiment of the Scarlet Devil,” to battle Remilia Scarlet, a powerful, charismatic vampire despite appearing to be no more than twelve. My personal favorite remix of “Septette” is “Priere,” arranged and sung by Nana Takahashi. Hauntingly beautiful, this remix retains all of the sophistication of the original while creating a profound interpretation of Remilia’s past and personal fears. Superb animation accompanies this song, illuminating the hidden depths beneath the Scarlet sisters’ appearances. 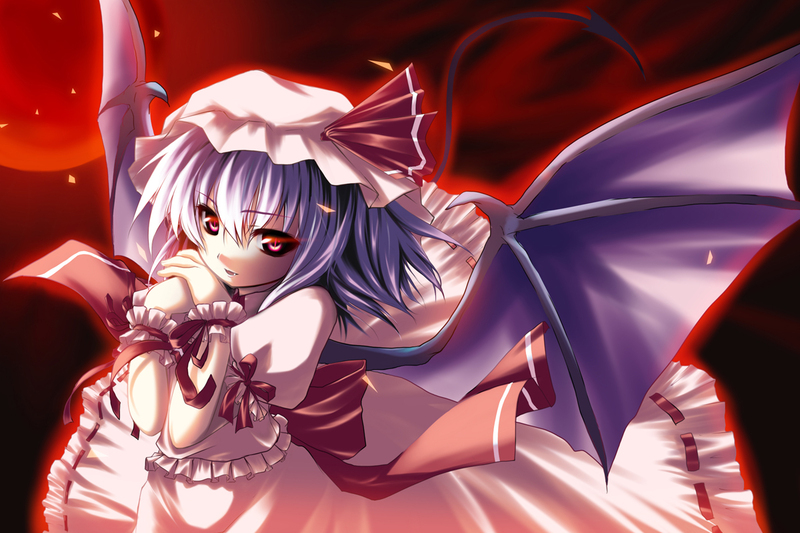 In the video, Remilia dreams that she is reliving the night she and her sister Flandre awakened as vampires. As the video progresses, Remilia’s dream becomes a horrific nightmare as she discovers her head maid Sakuya’s broken pocket watch and then her mangled body, caused by her own hand. The lyrics are equally enthralling, with stanzas that reveal the depths of the Remilia’s vampirism such as, “Begging in the darkness / Praying in the moon / Dancing high in the sky / Wings of Crimson.” With its soulful singing and haunting lyrics, “Priere” is one song to be forever remembered. A large part of the allure of Touhou’s music is how influences are drawn from both western and eastern sources, creating a “hybridization zone.” In “Septette for the Dead Princess” elements of waltzes and other “aristocratic” dances can be heard, while in “Bad Apple” synthesizers create a techno feel, which is quite popular in the United States. In my opinion, music is a way that people can bridge cultures, and brings people of all nationalities closer to one another.